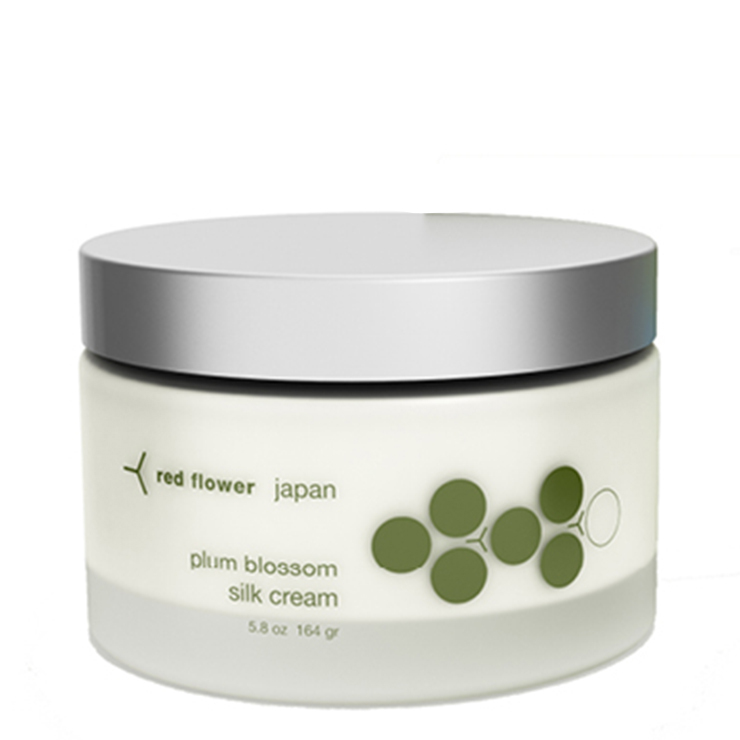 The delicately scented Plum Blossom Silk Cream by Red Flower makes skin feel ultra soft, while instilling an uplifting sensation. This highly absorbent nutritive cream is filled with vitamins a, c and e to provide a healing and restorative quality to skin. The perfect harmony of rose blossoms, concentrated silk extract and plum wine blend beautifully to offer a feeling of protection, nourishment, and enrichment to the skin.